OnePlus 3 spotted in red and It looks Awesome ! 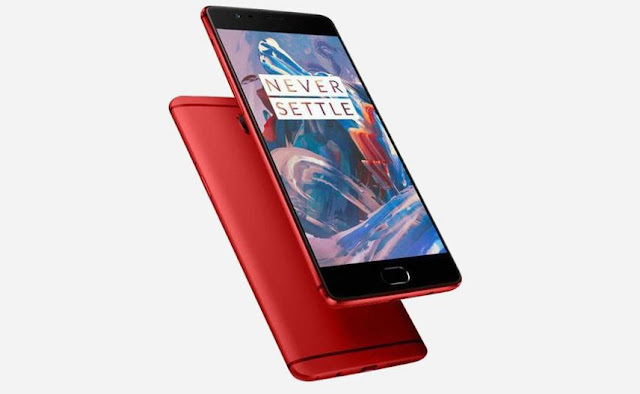 Back a while ago , OnePlus launched the flagship killer "The OnePlus 3" . This time instead of Sandstone back , OnePlus made OnePlus 3 full metal body . The OnePlus 3 currently available Graphite, and the upcoming Soft Gold . Seems OnePlus is also working on Red color variant of The OnePlus 3 . The Red variant might be coming soon . According to GizChina , Chinese OnePlus site eventually started showing Red OnePlus one and they removed it after few hours . Wait a little , This Awesome color of OnePlus 3 is on its way ! OnePlus 3 goes through scratch , burn and bend tests , and Guess what ?